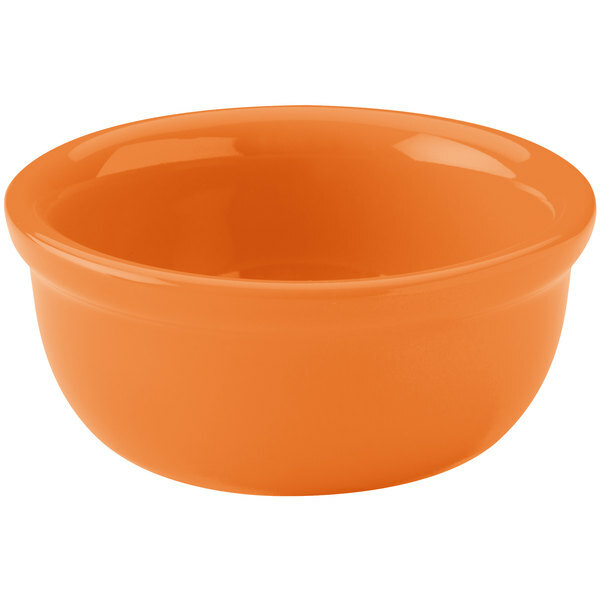 As part of the Hall China Colorations collection, this 30413325 tangerine 8 oz. 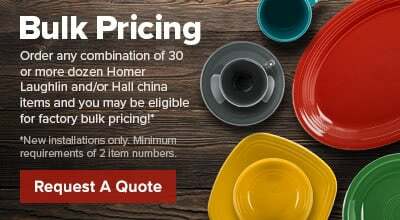 baking bowl features an all-over, brilliant glaze, designed to coordinate with Colorations from The Homer Laughlin China Company. Made from stunning china, it's perfect for baking and serving your most popular casseroles, with the perfect combination of fashion and functionality.